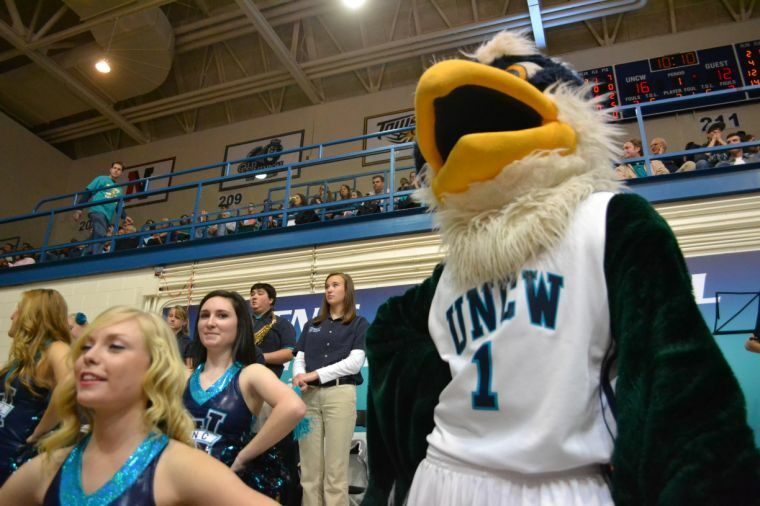 Sammy the Seahawk watches from the sidelines as the UNCW men's basketball team pushes past the Northeastern Huskies. Sammy not only serves as a symbol of UNCW, but he also serves as the physical embodyment of school spirit and the campus and community coming together to cheer on our Boys in Teal. 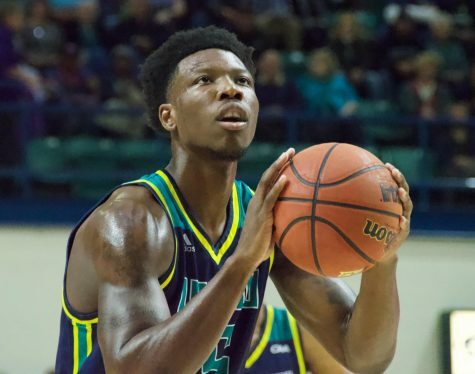 Keith Rendleman has been the backbone of the UNC Wilmington men’s basketball team for much of his four years in Wilmington. 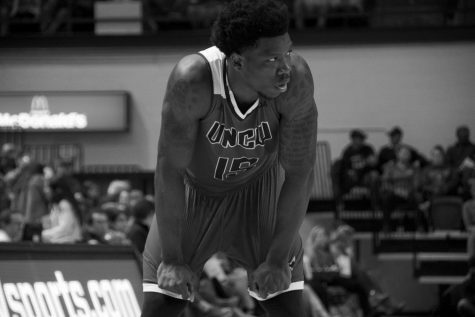 The Denver, NC native has garnered all-conference awards on his way to lifting his name into the conversation of Seahawk greats. 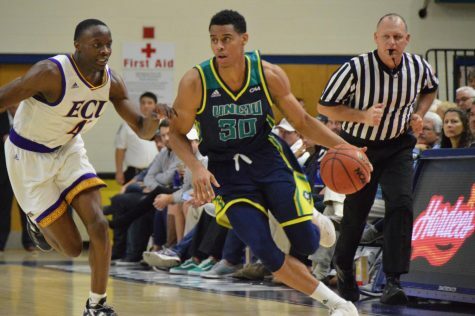 On Saturday night, in UNCW’s annual Homecoming game, the rest of his team wanted to reward him for his dedication to the squad. And they did just that with a 73-67 upset of CAA-leader Northeastern. Rendleman recorded 23 points and 11 rebounds, his 16th double-double of the season, to pace the Seahawks. Cedrick Williams also added 12 assists and nine rebounds. The win was anything but guaranteed during the game, however. The lead changed 11 times throughout the course of the night, with both teams going basket for basket. It was not until the eight minute mark in the second half that the Seahawks started to dominate the Huskies. Down 54-48 at the 8:41, Coach Buzz Peterson called a timeout to regroup his squad. It was during that huddle that UNCW’s mindset changed. The Seahawks then went on a 23-8 run to give them a nine point lead at 71-62 with 34 seconds left. 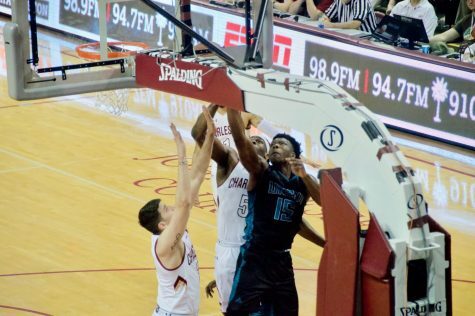 UNCW was aided by the fact that CAA player-of-the-year candidate and Northeastern’s leading scorer Joel Smith (16.3 ppg) was limited on the night. 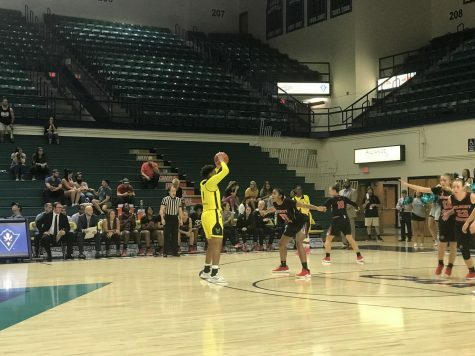 Smith injured his ankle during the Huskies’ win over William & Mary on Monday, missed Wednesday’s loss versus Delaware, and only played 16 minutes against UNCW, missing all five of his shots on the night. 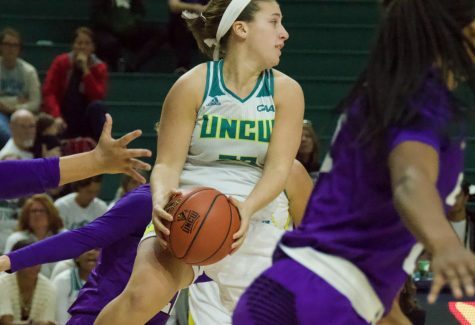 The Seahawks (10-16, 5-9) did not allow that to be an excuse to slack off, however, as they focused on containing the Huskies (17-10, 12-3) offense on Saturday. 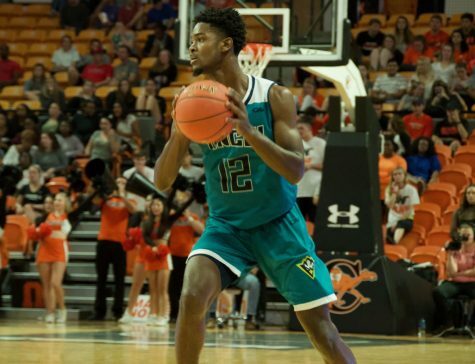 While Rendleman provided the offensive proficiency that sparked the team, it was junior Chris Dixon who had the Seahawk offense flowing in motion. 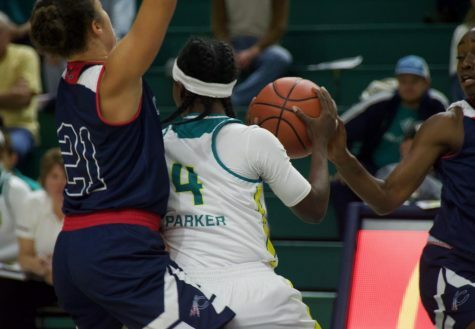 The transfer from Redlands Community College in El Reno, OK, finished with nine points and nine assists on the night. 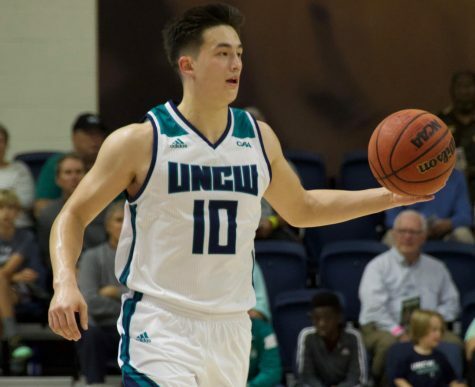 That was the most assists by a player for UNCW since Chad Tomko recorded 10 against George Washington University in 2010. The story of the night was Rendleman, however. 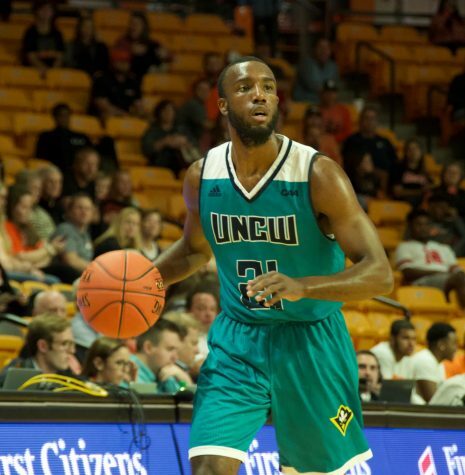 After four years of hard work, and choosing to stick by his team in the wake of a postseason suspension, there was no other way the senior would want to spend his final Homecoming in a UNCW uniform.